Authorities said they had blocked social platforms to prevent protesters from coordinating violence. Harare, Zimbabwe (CNN) Access to social media platforms in Zimbabwe was reinstated on Monday, hours after a court deemed the government’s internet shutdown illegal. 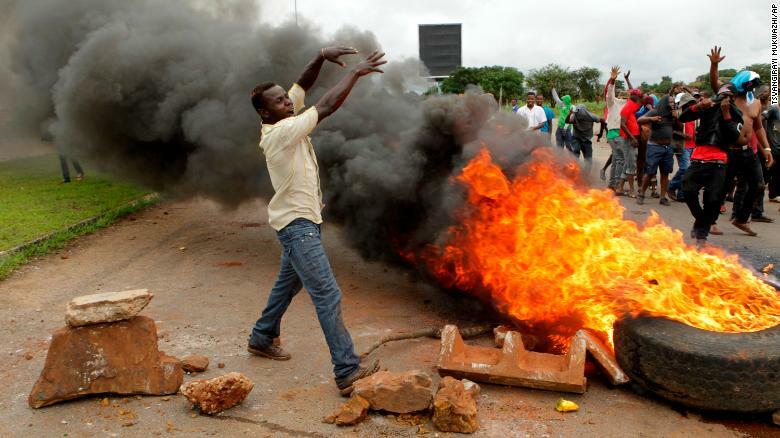 Zimbabwean authorities clamped down on internet use last week, after violent protests broke out over President Emmerson Mnangagwa’s announcement of a 150% hike on fuel prices. Over the weekend, internet access was restored only partially. A spokesperson for Mnangagwasaid social media remained blocked to prevent it being used as a tool for coordinating violence. On Monday, Zimbabwe’s High Court ruled that the Security Minister Owen Ncube did not have the authority to force mobile operators to block services. Zimbabweans had been relying on Virtual Private Networks (or VPNs) to access applications like Facebook, WhatsApp, Twitter and YouTube since last week. Protests erupted after Mnangagwa said a price hike on gas prices was required to ease months of fuel shortages. The unrest has left at least five dead and a further 25 injured, with human rights organizations blaming the police and army for the violence. Security forces in Zimbabwe have accused “rogue elements” for stoking violence against protesters. In the aftermath, residents and activists expressed concerns over the brutal crackdown. Samm Farai Monro, a political activist for freedom of expression in Zimbabwe, told CNN that last week’s protests underscore how little Zimbabwe has changed since the resignation of former leader Robert Mugabe. “It goes to show that Mnangagwa’s government has been all PR and no substance. They say Zimbabwe’s open for business, but they shut down the internet. 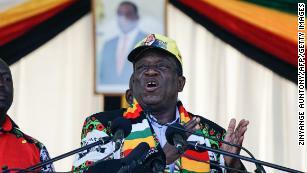 They say Zimbabwe is open for business, but they close any space for free expression and for citizens’ voices,” he said. Precious Manenji, a resident in Kuwadzana, a suburb of Harare, told CNN that a group of men stormed her house last Tuesday looking for an opposition lawmaker. Also on Monday, Japhet Moyo, the Zimbabwe Congress of Trade Unions secretary general, was arrested at Harare’s main airport on charges of subversion related to organizing last week’s protests. 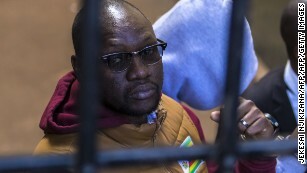 Moyo was not aware that he was wanted by the police, Tinashe Mundawarara of Zimbabwe Lawyers for Human Rights told CNN. The union was one of the main groups calling for a general strike over the fuel price hike.